Shuko and The Breed are two producers, who already arrived in the German and international pop and hip hop mainstream and who have worked with artists such as Cypress Hill, Lil Wayne, Nipsey Hussle, Evidence or even Zara Larsson next to some well known German artists like Cro, Xatar, Plusmacher or Schesta Ewa. Also as solo artists they were able to establish themselves in the instrumental hip hop scene, thanks to 7-digit click numbers on Spotify. At the same time they share a preference for classical West Coast sound. That’s why they have now joined forces and used their contacts to L.A. to record a song with the legendary rappers MC Eiht and King Tee. 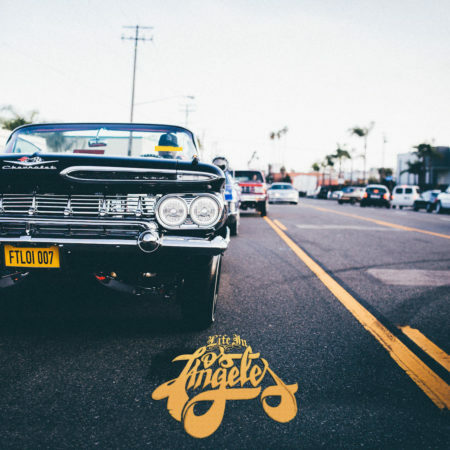 “Life in Los Angeles” is a tribute to the City of Angels and the Golden Era of the West Coast. In addition there is a hook by Frank Ocean homie Benny Sings, which brings the feeling of classics like Ice Cubes “It Way A Good Day” into the year 2019.